1. A teacher came to me with a student who was having difficulty getting along with his partners while working on a project. He and I discussed how using the Fundamentals of Improv to help his group succeed and do well on the project. 2. When having a discussion about famous inventors, we talked about how listening helps keep the conversation moving forward so people do not repeat the same things over and over again. 3. A student turned in her writing assignment and had not finished all the elements of the rubric. I found one area where she did well and said, "This part of your story shows an example of creative thinking, you really tapped in to your imagination." This demonstrates a "YES" to her work. Then I quickly follow up by saying, "And, I wonder if you have an analogy to give your readers a visual picture of what you imagine in this scene." These are just a few examples. 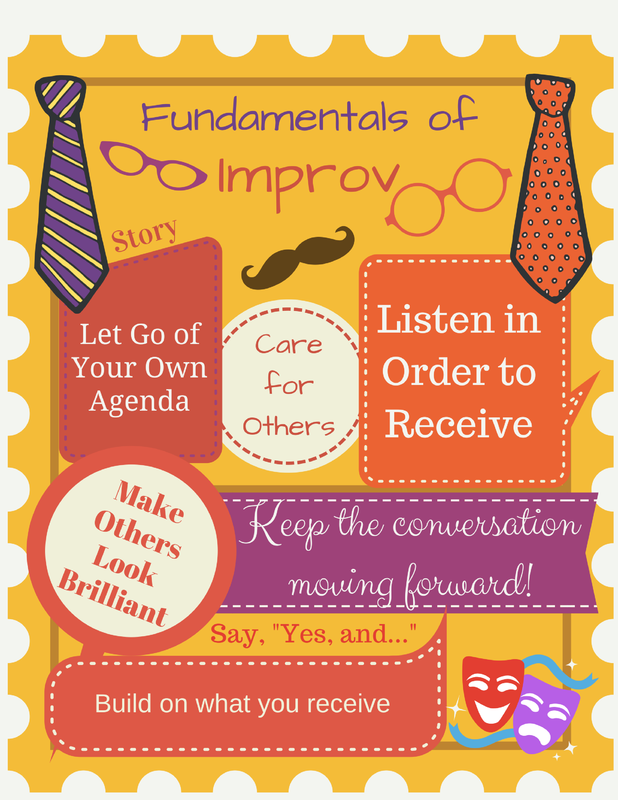 Once you get in the habit of using improv, you will use it multiple times each day. I made this poster to help my students have a reminder about how to use this tool. I hope you will find it useful too. I wonder if anyone can explain the relationship between fractals and cell phones. There is a connection, and it is fascinating! What interests me is the fact that fractals have been in the world since the beginning of time; however, cell phones are relatively new. This infographic by my daughter intrigues me. There are so many points of wisdom that it takes a while to digest it all. The parts that stood out to me were the ideas that evaluative thinking helps us make wise decisions and this skill should be taught. This book by Matt Murrie and Andrew R. McHugh inspires my students! Right now it stays on top of the bookshelf where students can readily grab a copy when they want to read. They say it is "inspirious" (I'm guessing that means inspiring and curious). They are following the example of Shakespeare by adding new words to their vocabulary. Last Tuesday, they were consumed by writing short thank you videos to Matt Murrie because he is coming to visit our classroom next week. They used WeVideo. We started the project by creating a class project. Since I did not have a firm grasp, I enlisted one adventuresome student to begin the project and share it with the class in Google Classroom. They inspired me, and I smile when I watch their final products. I hope you enjoy the video. ​We all have antagonistic recollections from the past. We cannot return to the moments, but our memories take us to the thoughts and feelings that remain in the aftermath. Some uncertainties, fears, and struggles we may want to leave behind. They make us cringe and wish we could go back and make a better decision. However, the triumphs, joys, and accomplishments become our best friends. These lifelong companions make us confident and secure. In the movie, Tomorrowland, Casey asks, "There are two wolves who are always fighting. One is darkness and despair. The other is light and hope. The question is: which wolf wins?" Nate answers, "The one you feed." All of us have those memories that distress us, we must conquer the thoughts that would make us believe we cannot repair the damage. We may have the scars to remind us of the pain, but we also have the reminder of the healing that takes place when we refuse to pick at the wound. Our memories carry us forward. The mistakes make us cautious... mindful. The triumphs give us hope and resilience. We need these two companions because they honestly ensure our hope for future contentment. In this TEDxCOMO, Zach Beattie gives valuable advice about decisions, creativity, and mistakes. What if students and teachers went to school each day knowing that blunders and triumphs would not be publicly displayed on a behavior management board? What if teachers talked to children quietly about their mistakes and worked with them to help them succeed? What if children knew that they are allowed to play because playing helps them learn. Can you imagine this type of school? I'm reading The Book of What If...? Questions and Activities for Curious Minds. "What If?" inspires a fun game for children of all ages. Yesterday my grand-daughters were playing "Would you rather...?" Then I recalled the question from the book "What if You Could Teleport Anywhere?" So, assuming you could teleport, would you rather go to someplace on earth or somewhere in outer space?" As a Science Fiction fanatic, I like to imagine the possibility of travel in the blink of an eye to anywhere in the universe crossing both time and space. While dreaming of the "What if", I thought of a short little glimpse of a place I would like to go. It is a place from my childhood. Last night I visited my childhood home by the sandy beaches of the Mediterranean Sea. It looked to me, as I peered over the white picket fence, that the door was much smaller than I remembered. The weed-strewn path spanning the short distance to the house echoed the thoughts of childhood games and taunts. I ran up to the door and peered into the window. The dwelling, empty and bare, transformed, like a spirit recollecting the memories of a simple childhood. I opened the door, then, visions flooded back with the vibrancy of sunlight shining through the clouds after a summer rainfall. As the echoes called me back, I was likewise aware that time had changed the small house, it was unkept and bare. It was not the same. Still, I wanted to stay a while in that uncomplicated little place by the sea. Would you rather visit a place where you have lived before, or would you travel to an entirely new destination? Please post a comment about that place. A plant grew in the thin space between the concrete. I walk every evening because it frees me to reflect on the day. Yesterday, while walking, I was thinking about a Tweet from a friend. She wrote a profound statement that captured my imagination. She posted, "What if I'm not a creative type? There is no such thing! We are all creative. We just need a better definitive of creative!" While thinking about this, I almost stepped on a flower tucked in the crack of the sidewalk. The tiny example of perseverance illustrates the power of flourishing in the face of extreme challenges. We may lack resources or expertise, but when we take risks in spite of difficulty, we grow and thrive. So, what is your greatest challenge? On the website you will find many ideas for children who crave challenging, fun, and worthwhile projects. 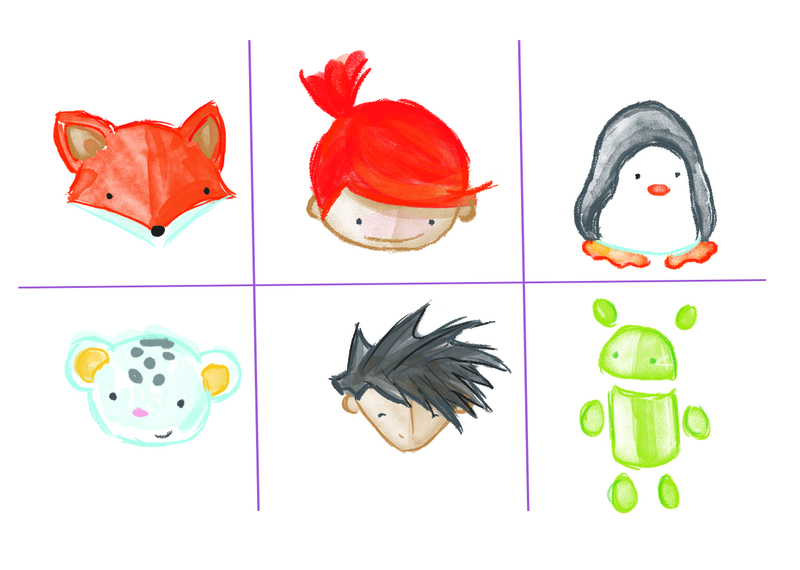 In the process, children of all ages can learn about computers, technology, and programming. Even though the book is not published yet, It is available for pre-purchase on Amazon, Barnes & Noble, and Indiebound. Pearls take time to form; likewise, our words should be chosen carefully and with thought.